June 13th in Plugin Lists by Wordpress Jedi . Premium Stock Market Widgets: comes with leaderboard, comparison, scrolling ticker, table, and charts widgets. You can use them to display stocks, bonds, commodities, mutual funds, and Bitcoin investments. 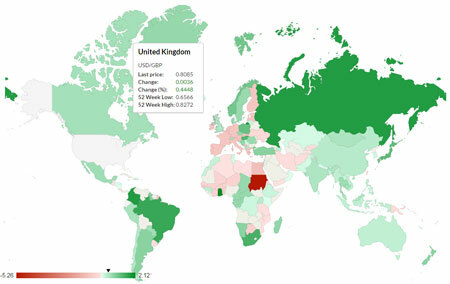 Stock & Forex Markets Heat Maps: a premium plugin for stock and Forex markets that shows global economic trends on your site. It covers many popular market indices, including S&P 500, BEL 20, Hang Seng, Nikkei 225, FTSE 100. 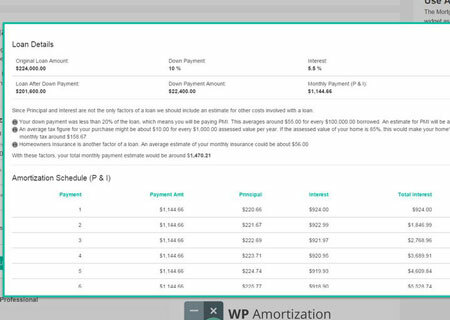 WP Amortization Calculator: a premium amortization calculator for real estate investors and lenders. It integrates with Visual Composer and has a responsive design. Lets you create reports and send them to your leads with your logo. Cryptocurrency Price Ticker Widget & Charts Pro: uses data from Coinmarketcap & Coincap.io to show prices, changes, market camp, volume, and real-time updates for top cryptocurrencies. You can display the ticker at the top and bottom of your site or inside posts. Stock Market Charts: this stock market plugin supports 5 chart types. It provides you with daily and historical data and charts. Supports currencies, ETFs, and equities. Show Stock Quotes: uses Google Finance to display up to 20 stock quotes from your portfolio. Simply enter your favorite tickers, and the widget takes care of the rest. Real Estate Calculators: real estate opportunities are attractive to those who pursue short and long-term investment opportunities. This plugin comes with mortgage, monthly rent, interest rate, and other useful calculators. Pricy: this paid plugin uses live finance data to show stock and Forex market prices on your site. Uses Yahoo! Finance data to update prices every minute. 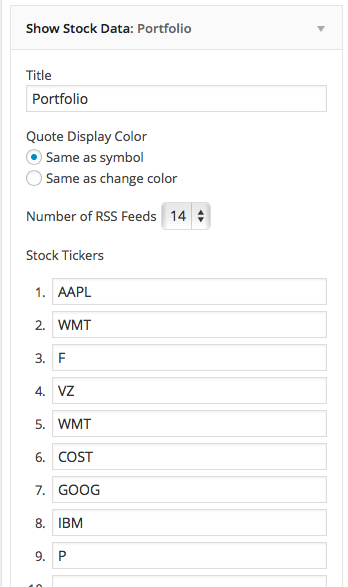 Stock Ticker: this free script lets you display stock prices in your posts and pages. It has a multi-instance widget and shortcode. 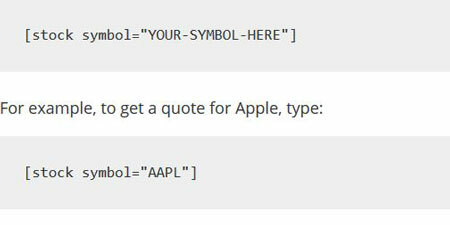 Inline Stock Quotes: want to quickly add stock prices to your posts? This free plugin has you covered. 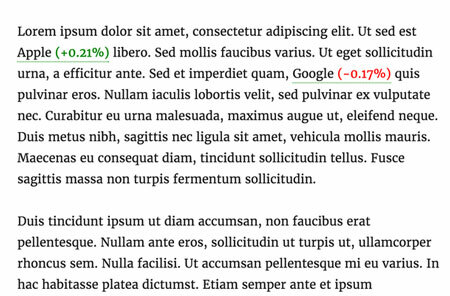 It adds color-changing quotes to your pages via a simple shortcode. Simply add the appropriate symbol to the shortcode, and the rest is easy. Dynamic Stock Charts: allows you to add customizable stock charts to your website. You get technical indicators, line & area charts, and zoom & navigation controls. An unlimited number of charts can be shown on each page. 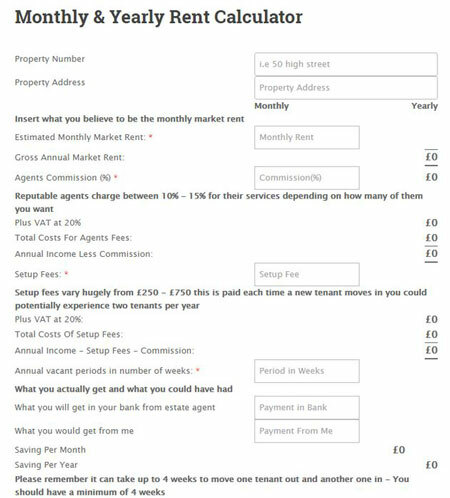 Interest Only Loan/Mortgage Calculator plugin: this paid plugin comes with a simple shortcode and can show an amortization schedule for a fixed-rate loan. 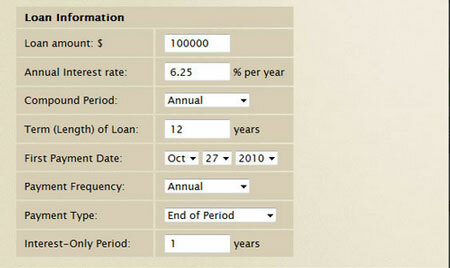 It has loan amount, annual interest rate, loan length, payment type, and other relevant fields. Premium Cryptocurrency Widgets: cryptocurrencies are a risky investment but plenty of people are serious about them these days. Thanks to this plugin, you can display coin data from more than 90 cryptocurrency exchanges on your site. 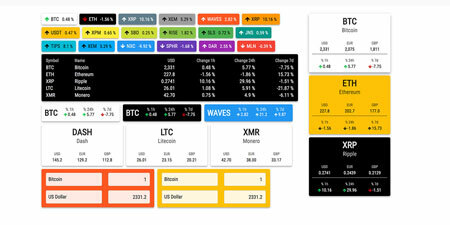 Virtual Coin Widgets: has 10 widgets you can rely on to share cryptocurrency prices and information on your site. Over 1500 coins are supported. The plugin includes price, change, table, and converter widgets. Coin Market Cap & Prices: another paid plugin that lets you clone CoinMarketCap. 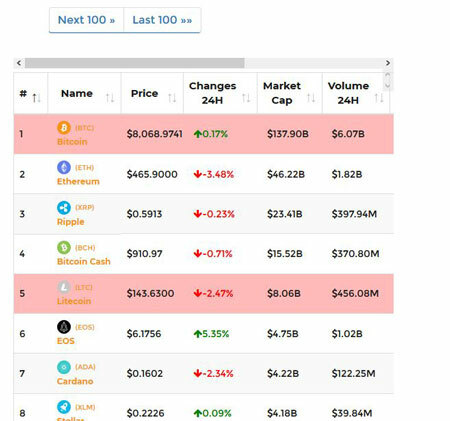 Lets you display a list of top 1000 coins and have them sorted based on rank, price, and market cap. If you are looking to give your site a complete makeover, you may also want to check out some of these themes for investment brokers and financial analysts.